John grew up in Sunbury and studied political science at Bloomsburg University and theology at Baptist Bible College in Clarks Summit. He entered the insurance and investment business as an agent in 1970 and opened his own agency three years later in Forty Fort, PA. In 1975, he returned to Sunbury with his wife and three children as a partner at Mid-Penn Insurance. After leaving Mid-Penn Insurance and working independently out of 18th Street Financial Services, LLP, John partnered in 2015 to build Blue Skies Wealth Advisors. Utilizing his strength as a learner and his desire to serve his clients well, John has achieved the professional designations of Certified Insurance Counselor (CIC), Chartered Property and Casualty Underwriter (CPCU), and Life Underwriters Training Counsel Fellow (LUTCF). He has taught various insurance and investment courses, been recognized as a leading industry professional in the state of Pennsylvania, and has received numerous industry awards for production and quality of business. He is also a member of several insurance societies, such as the Society of Certified Insurance Counselors, the Society of Property and Casualty Underwriters, the Insurance Agents and Brokers Association of PA, and the Independent Insurance Agents of America. 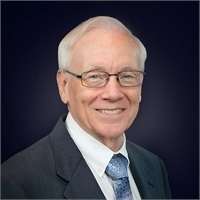 John has served as an elder in his church for over thirty years and on several boards including the Greater Susquehanna Valley Chamber of Commerce, the Leadership Susquehanna Valley, the Professional Insurance Agents Association of PA, MD, and DE and its successor organization Insurance Agents and Brokers, Sunbury Revitalization, Inc., Susquehanna Industrial Development Corporation. He also currently chairs the SPARC (Sunbury Pride and Renaissance Coalition) Group, participates in the Sunbury Redevelopment Authority and Northumberland County Industrial Development Authority, and just completed his third term as Director of Accounts and Finance for the city of Sunbury. In 2014, he was recognized as Sunbury’s Citizen of the Year by the Sunbury Rotary Club.